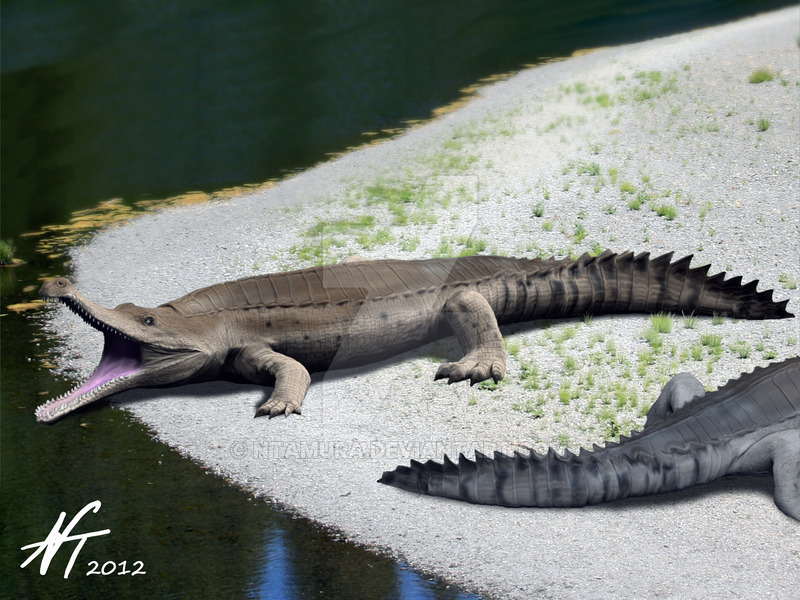 Sarcosuchus was a prehistoric crocodile which lived approximately 112 million years ago during the Early Cretaceous Period. 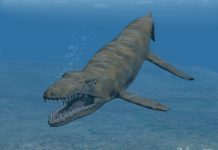 It was first discovered during the 1950s in Aoulef, Algeria and Gara Kamboute, Tunisia by a team led by French paleontologist Albert-Félix de Lapparent. In 1964, a complete skull of Sacosuchus was discovered in Gadoufaoua, Niger and promptly sent to Paris for further study. This skull would become the holotype of the species. 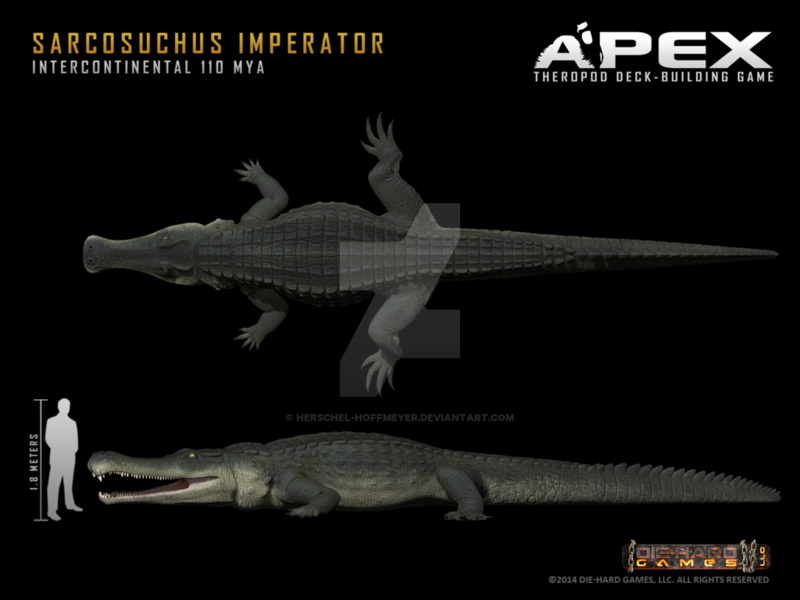 It was also given its name, a name which means “flesh crocodile” in Greek. 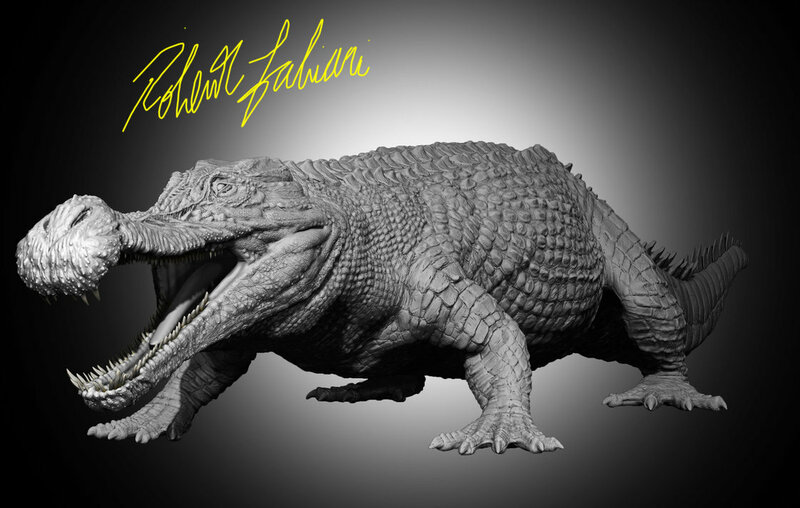 You really can’t get an idea of how big this crocodile was until you have looked at Sarcosuchus pictures, especially ones showing them as compared to humans. 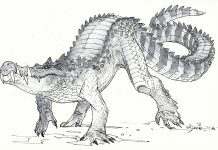 It is only then that you get a good idea of just how large these prehistoric crocodiles really were. 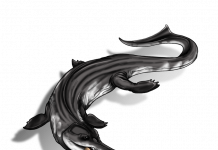 Sarcosuchus was approximately 40 feet long – or about the size of a whale shark – and weighed about 15 tons, which is about 7 tons heavier than an elephant! 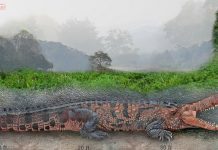 That would have made it large enough to defend its territory from some of the theropods that may have existed at the time. 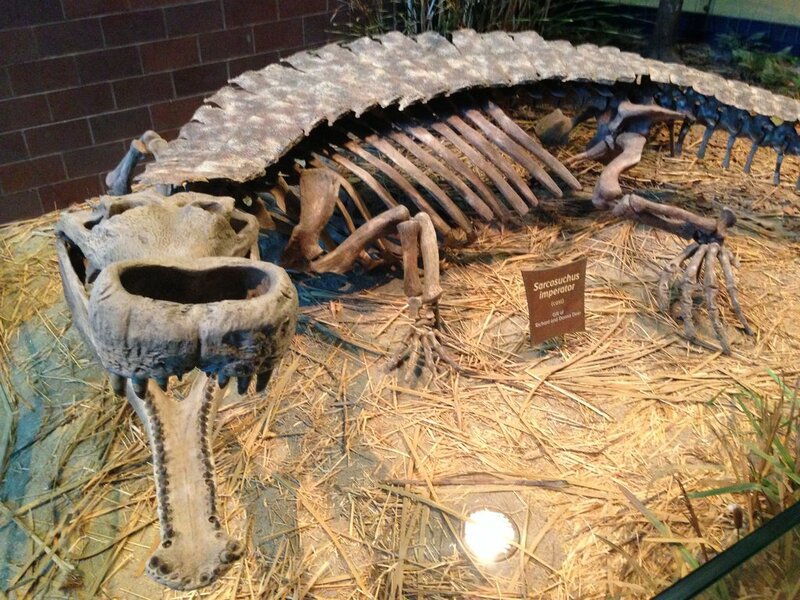 One of the most interesting facts about Sarcosuchus, however, wasn’t its enormous size but its eyes. It appears that its eyes didn’t move left and right but instead moved up and down. This means that it spent quite a bit of time submerged below the surface of the water. Therefore, it’s quite likely that it hunted in the same way as modern crocodiles do today. 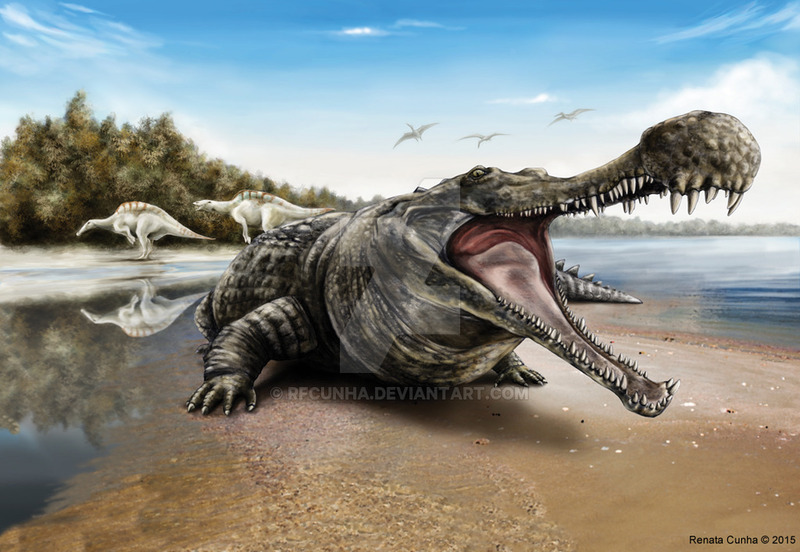 Sarcosuchus lived in Northern Africa, in what is now known as the Sahara Desert. 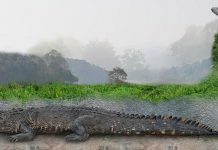 However, at the time this crocodile lived, this area was a tropical region with rivers and plenty of vegetation. The climate eventually changed though and caused the Sahara to spread across the region. 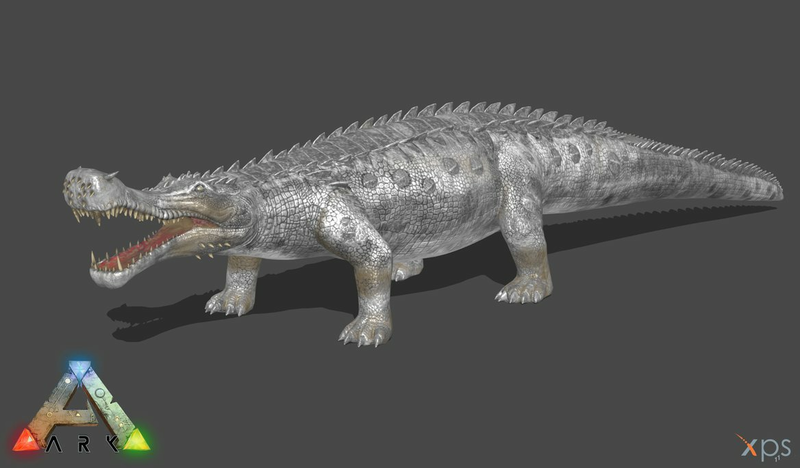 Another interesting fact is that Sarcosuchus had a bulbous depression at the end of its snout and paleontologists aren’t really sure what its purpose was. Some think it was merely an enhanced olfactory organ that allowed it to smell things from really far away. Other paleontologists believe it was used during mating – to differentiate males from each other. Unfortunately, until more evidence is found, it may never be discovered was this bulbous depression was used for.